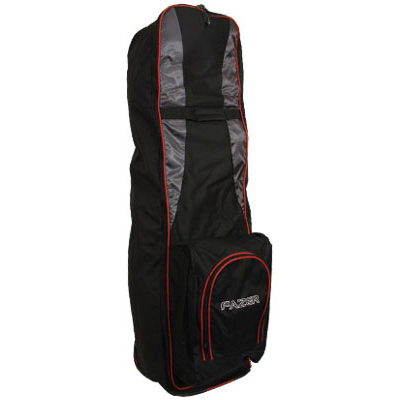 Big enough and durable enough to carry everything you need on your golf trip, this brilliant Fazer Travel Cover 2010 has smooth gliding inline skate wheels for easy manoeuvrability. With a huge front zippered opening for supremely simple storage and ease of access, this sublime Fazer Travel Cover 2010 is the preferred choice of modern golfers. Size: 49" L x 14" W x 12"
To reduce the stress of carrying your golf equipment round all day, Fazer have produced fantastic inline skate wheels, which produce a smooth rolling motion wherever you decide to go. Designed to be extra durable, with molded rear skid rails in case of an emergency stop, carrying your golf equipment around will become more of a pleasure than an inconvenience. 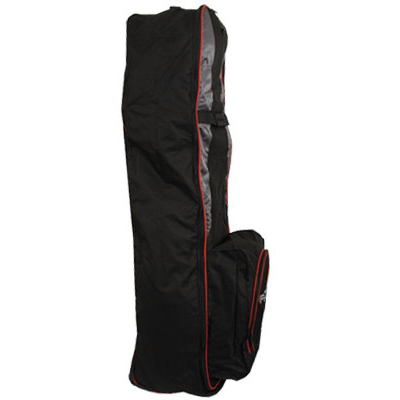 This well designed Fazer Travel Cover 2010 will allow you to transport your golf equipment with ease, in style.